What we do: Operation Dog Rescue specializes in the capture of dogs that are “at-large” – dogs who are living on their own and going out of their way to avoid human contact. 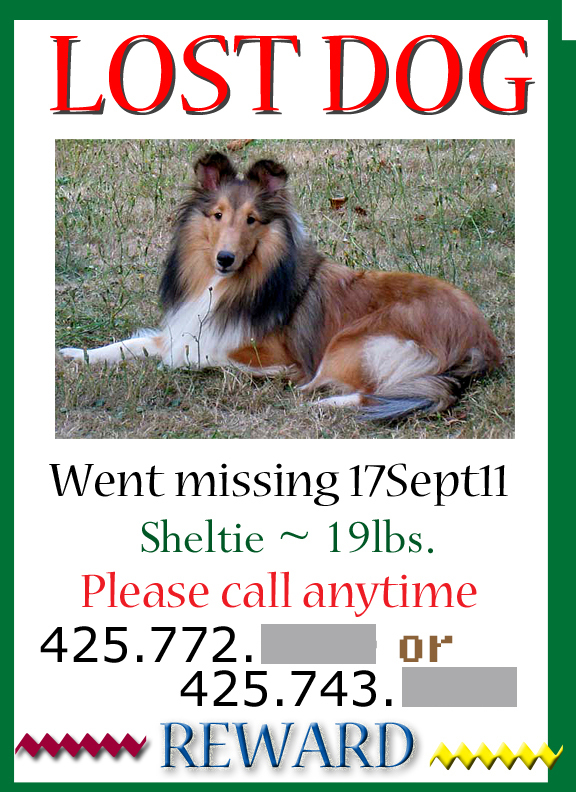 This may be a lost dog with an owner or a dog with no owner that is loose in a specific area. It is our experience that even a friendly dog may become unapproachable after being separated from its family, as though something in the dog’s brain switches to survival mode. We’re familiar with this type of canine behavior and can offer suggestions and implement techniques that may lead to the successful capture of the dog. How we do it: When ODR learns about an at-large dog, we typically reach out to a designated contact person to help us prepare for the eventual capture; proper preparation work can greatly increase the probability of a quick capture. Each case is different and requires an individualized approach. ODR has a variety of traps and trapping methods as well as wireless cameras to monitor the area. Who we are: Operation Dog Rescue is led and managed by Vivian Dahlin out of Ocean Shores, Washington. 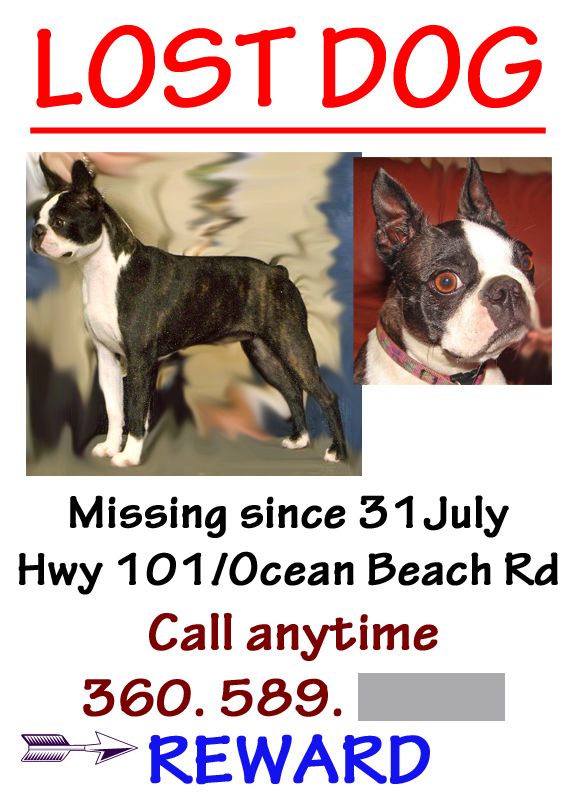 ODR consults on missing dog cases throughout the nation. For more information contact Vivian at eliottd2002@yahoo.com or call Vivian at mobile number 360. 580. 9927. Vivian has been trapping dogs and cats since 2008. Our Fee: Operation Dog Rescue does not charge a fee for our time or travel. 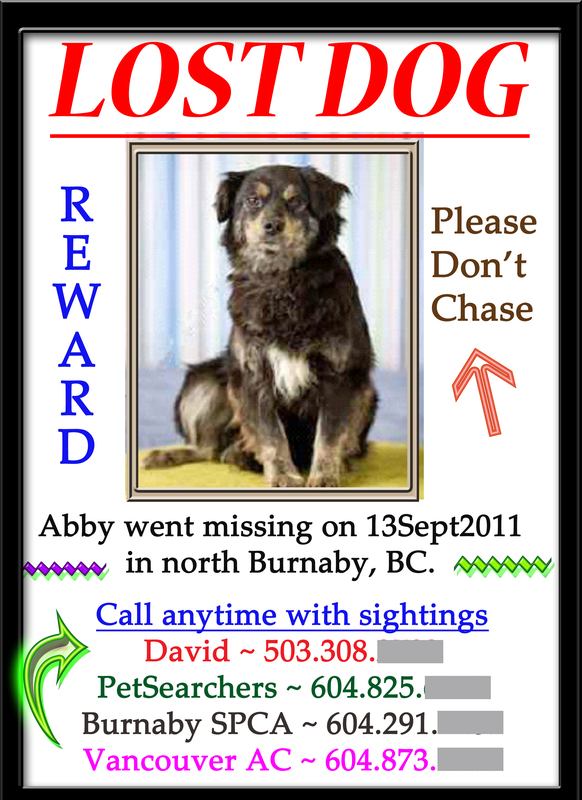 We can create lost dog posters for you. Below are examples of posters we’ve created for clients in the past. Click on the image to see a full size view.